The Meridian Metropolitan District’s water storage tank is a large rectangular concrete structure with six tennis courts on the top slab. The tank serves as the only water source for the Meridian Metropolitan District and therefore had to remain operable during repairs. 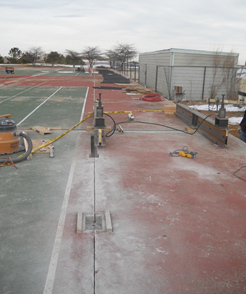 External improvements consisted of the following: concrete topping slab repairs, joint repairs, epoxy crack injection, and installation of a new access hatch. 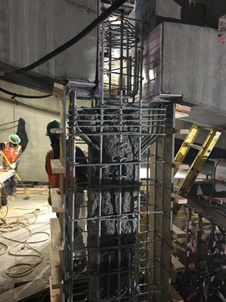 Internal improvements included: repair of numerous damaged double tee ends; removing bad concrete; replacing and re-passivating rebar; and forming areas that were then filled with repair concrete. 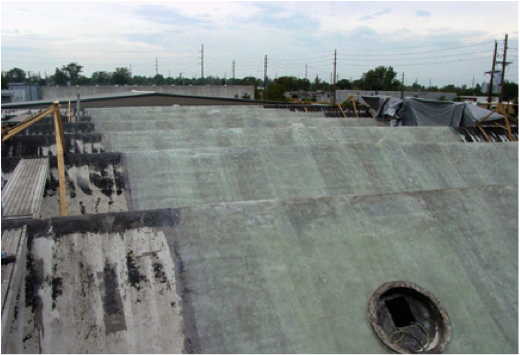 The professionals at Restruction performed this repair work while floating on a disinfected wooden platform over 30 feet of water. Needless to say, safe operation was imperative. The tank’s top slab is constructed with three 60-foot spans of pre-stressed, concrete double tees. 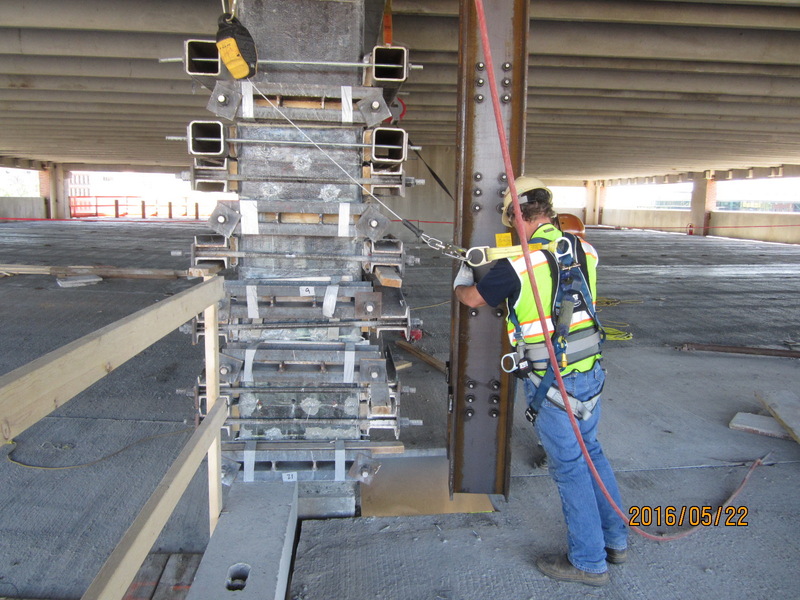 Jacking the top slab structure was required to repair these tee ends. 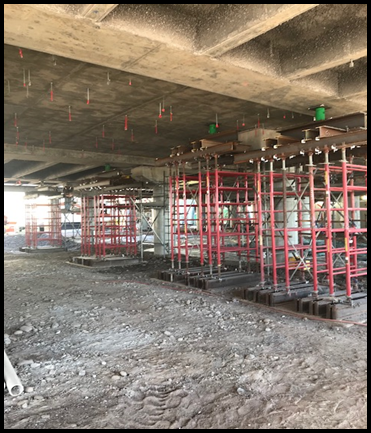 This innovative jacking system was engineered by Restruction Corporation to lift a tee by reacting off existing supports, using center hole jacks and rods. It eliminated water-quality concerns, thereby significantly reducing costs for the owner. 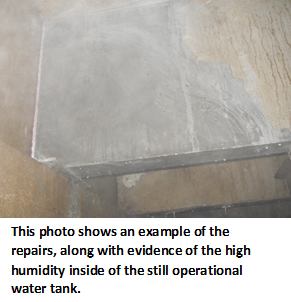 Restruction faced additional project challenges such as high humidity, poor visibility, and a large temperature differential between the inside and outside of the water tank. 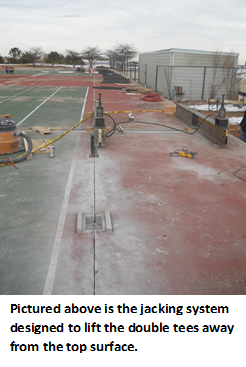 Despite the obstacles, however, the repairs were completed successfully and as scheduled. 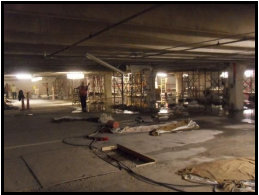 Most importantly, and as a direct result of Restruction Corporation’s exemplary process, Meridian Metropolitan District was able to provide potable water throughout the duration of this project.